Journalists and media workers have long been at risk for violence in the course of their work. The past few years have seen an uptick in the number of journalists and media workers who were killed, tortured, arrested or detained in as a direct result of their profession. Journalism can be a dangerous profession. Journalists and media workers often work in the midst of war zones, conflicts, and natural disasters, and can incur the wrath of the most powerful when reporting on corruption or human rights abuses. In addition to this, women journalists across the world face violence and harassment at an astounding rate. 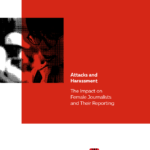 According to the International Federation of Journalists (IFJ), 1 in every 2 women journalists have suffered some form of sexual harassment, psychological abuse, online trolling, and other forms of abuse while working. They are often at greater risk of being targeted not only for their reporting, but also because of their gender, including through the threat of sexual violence. Since 2012, numerous Human Rights Council resolutions have set out States’ political commitments to end impunity and ensure the safety of journalists. In September 2018, OHCHR presented a report on the issue at the 39th session of the Human Rights Council that provided an overview of recent developments at the international and regional levels to monitor the safety of journalists, as well as prevent and protect against attacks. 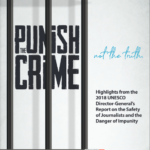 The report stated that despite the attention given to the safety of journalists at the international and regional levels, attacks on journalists have been increasing, which raises legitimate questions about the impact of these mechanisms. It recommended the adoption of independent and impartial methods to analyze their effectiveness and to systematically collect and analyze relevant disaggregated data over time. 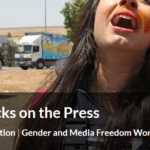 Women journalists also face increasingly precarious working conditions, particularly those forced to work without contracts, social protections, pensions, paid holidays and other social benefits. As job security erodes and full time work for reporters diminishes, more and more journalists are being forced into freelance work. This not only has implications for journalistic integrity, but also puts journalists at the mercy of the ever-expanding gig economy that strips workers of their rights as laborers. The Special Rapporteur on the promotion and protection of the right to freedom of opinion and expression presented a report on his mission to Mexico to the 38th session of the Human Rights Council on 12 June, 2018. He noted the specific risks faced by women and indigenous journalists, ranging from physical violence to online harassment and provided a number of recommendations to improve the safety of women journalists and ensure accountability for violence. 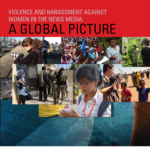 In 2019, the report of the Special Rapporteur on the situation of human rights defenders also highlighted the high risks women journalists face, including murder. The Special Rapporteur on the situation of human rights defenders on his mission to Mexico on 12 February 2018 wrote that between 2010 and 2017, more than 43 women defenders and journalists were killed in Mexico and at least 5 women activists were killed in 2017. He noted that journalists also face violence when covering protests, threats from organized crime groups and harassment from the authorities for carrying out investigative journalism. The CEDAW Committee recommended that the Protection Mechanism and the Law for the Protection of Human Rights Defenders and Journalists include a gender approach and that the authorities take concrete, adequate and effective measures to prevent, investigate, prosecute and punish attacks and other forms of abuse perpetrated against women human rights defenders and journalists. On 12 November 1997, UNESCO’s General Conference, at its 29th session, adopted the Resolution 29 “Condemnation of Violence against Journalists” inviting the Director-General to condemn assassination and any physical violence against journalists as a crime against society, since this curtails freedom of expression and, as a consequence, the other rights and freedoms set forth in international human rights instruments and to urge that the competent authorities discharge their duty of preventing, investigating and punishing such crimes and remedying their consequences. 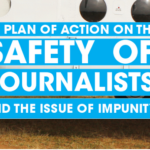 The UN Plan of Action on the Safety of Journalists and the Issue of Impunity is the result of a process that began in 2010 upon request of UNESCO’s Intergovernmental Council of the International Programme for the Development of Communication (IPDC). It was endorsed by the UN Chief Executives Board on 12 April 2012, and it has been welcomed in resolutions of the the General Assembly, the Human Rights Council, and UNESCO. On 29 June 2017, OHCHR and UNESCO organised the Multi-stakeholder Consultation to review ways of strengthening the UN Plan, which brought together approximately 250 representatives of UN agencies, Member States, regional intergovernmental organizations, civil society, media, internet intermediaries and academia. Countering Online Harassment in Newsrooms: Strategies and Best Practices Implemented in FinlandIn June 2018, the International Press Institute (IPI), a global network of editors, media executives and leading journalists for press freedom, visited Finland as part of IPI’s Ontheline project, which aims to identify best newsroom practices for preventing and better responding to online harassment of journalists. Over the course of five days, the IPI delegation with editors-in-chief, managing editors, web and social media editors, and staff and freelance journalists to better understand online harassment and how it is dealt with in Finland. The case concerned the complaint by a journalist of having been found liable for defamation following the publication in 2007 of an article about a high-profile criminal case involving the director of a rehabilitation centre and his wife, who were suspected of sexual abuse. The Court found in particular that the Icelandic courts had not based their judgment on relevant and sufficient grounds demonstrating that Ms Hlynsdóttir had acted in bad faith. In particular, they had rejected the defamation claim in respect of a number of statements concerning the activities of the claimant (the director’s wife), leaving it unclear why the statement found to be defamatory could be read as an allusion to a crime. The case concerned a journalist’s complaint about her conviction for insult following an article she had written about Nataša Kandić, a well-known human rights activist. The courts held that by failing to put one particular sentence – “Ms Kandić [had] been called a witch and a prostitute” – in quotation marks, the journalist, Ms Milisavljević, had tacitly endorsed the words as her own. The Court found in particular that it was evident, even without the quotation marks, that that sentence, written by another journalist and previously published in a different magazine, had not been Ms Milisavljević’s personal opinion of Ms Kandić, but that she had merely been transmitting how Ms Kandić was perceived by others. Moreover, the domestic courts, limiting their reasoning to the lack of quotation marks, had completely failed to balance Ms Kandić’s right to reputation against Ms Milisavljević’s freedom of expression and duty, as a journalist, to impart information of general interest. The case concerned the search by the police of a well-known broadcast journalist’s home, and their seizure of data storage devices. Her home was searched following a broadcast she had aired in February 2010 informing the public of an information leak from the State Revenue Service database. utmost caution. In this case the investigating authorities had failed to properly balance the interest of the investigation in securing evidence against the public interest in protecting the journalist’s freedom of expression.